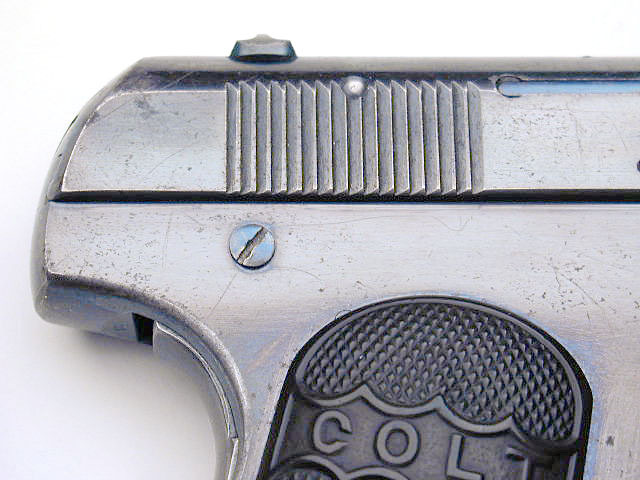 Colt Model M .380 ACP Serial Number 1 - shipped to J.R. Hegeman in 1908. 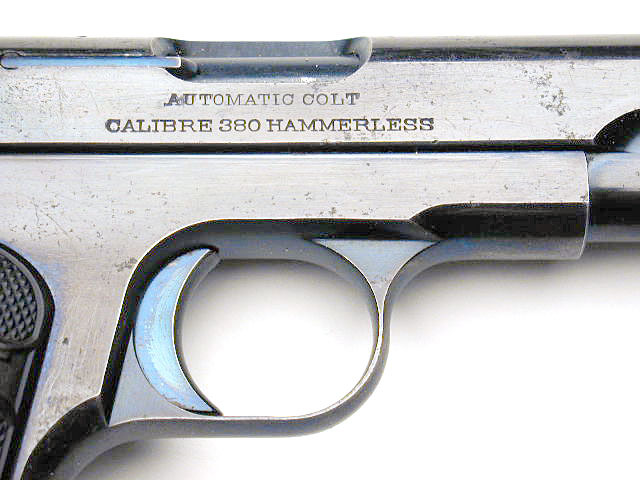 Mr. Hegeman, a vice president of the Metropolitan Life Insurance Company, of New York, was very active between 1885 and 1925, and was interested in Colt arms only. 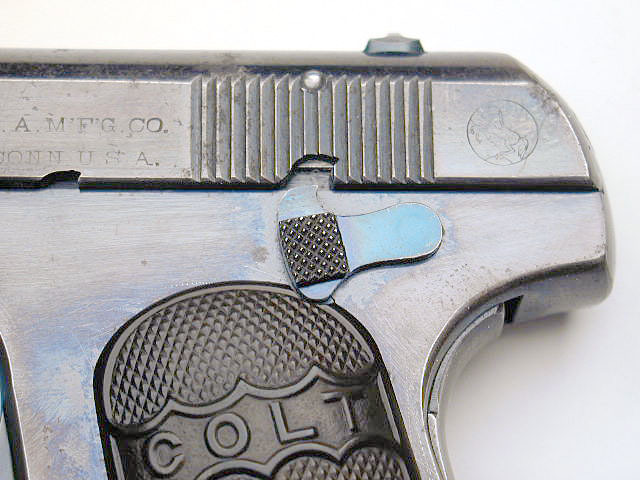 Hegeman was truly a pioneer in Colt collecting and presumably had some fantastic connections within the Colt company in order for him to own many production prototype and serial number one guns. 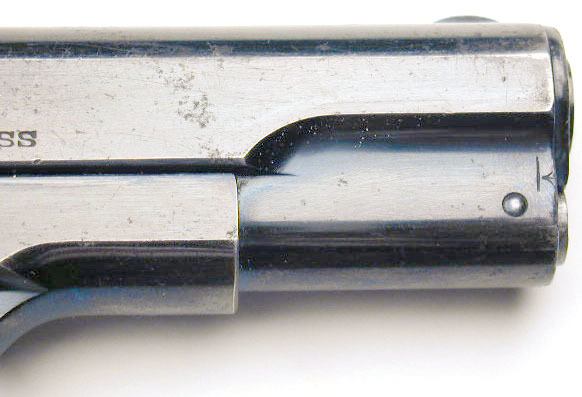 Close-up of left rear slide and frame. 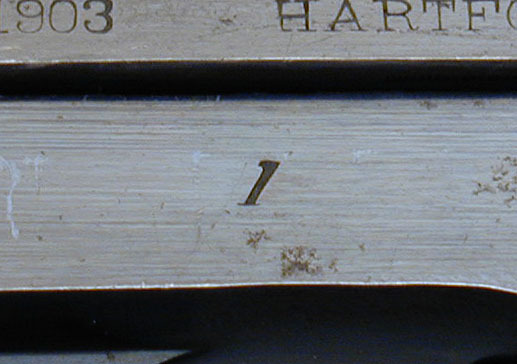 Close-up of serial number 1. 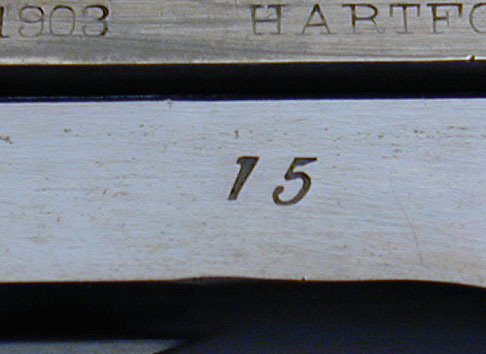 Compare it to the close-up photo of serial number 15 below. 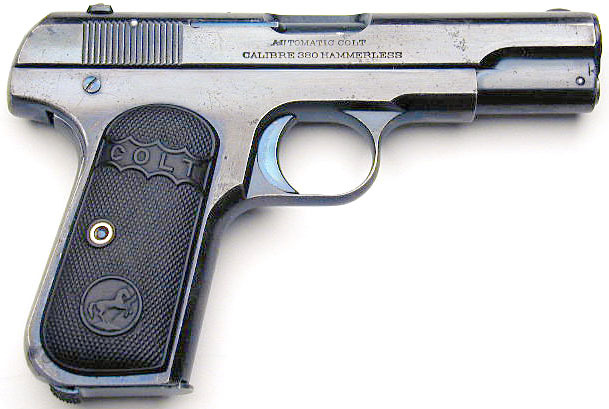 It's slightly different. 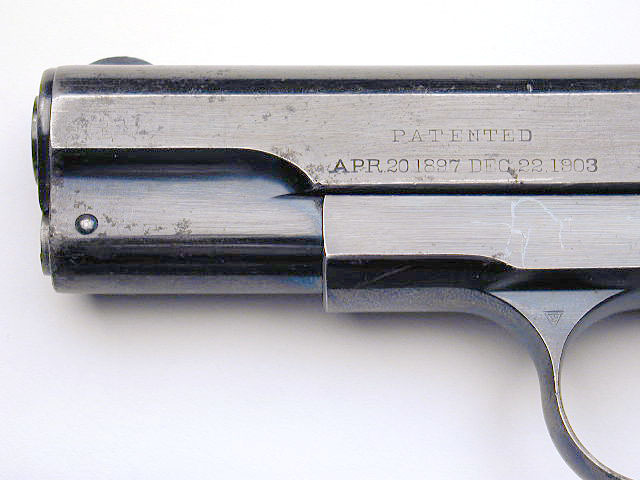 For comparison, here's a close-up of Model M .380 serial number 15. 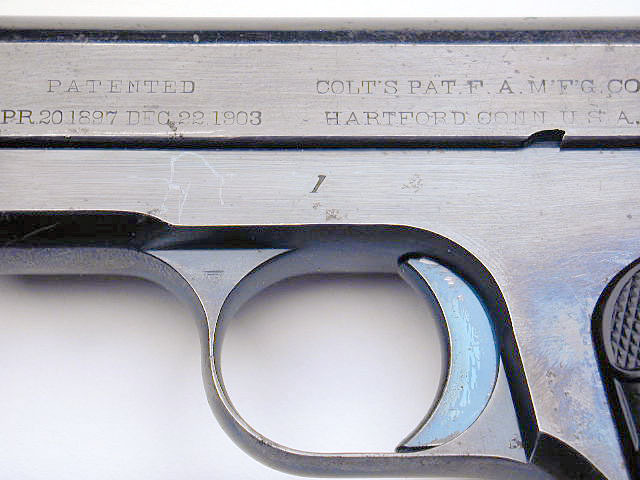 Colt Model M .32 ACP Serial Number 6 - shipped to Frank Schirmer in 1903. 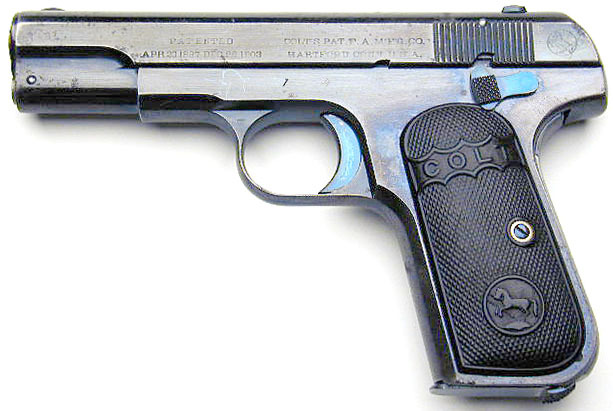 Schirmer was Colt's Treasurer at the time and also received Colt Model N .25 ACP Serial Number 2.